The share price for Hargreaves Lansdown PLC company symbol: LON:HL has risen 1.16% or 24 points during today’s session so far. Traders have so far held a positive outlook throughout the session. The periods high figure was 2117 dropping as low as 2087. The number of shares traded by this point in time totalled 252,473 whilst the average number of shares exchanged is 1,089,579. The 52 week high price for the shares is 2137.4 around 60.4 points in difference on the previous days close and a 52 week low being 1290 making a difference of 787 points. Hargreaves Lansdown PLC now has a 20 SMA at 2088.3 and also a 50 day moving average now at 2031.82. The market capitalisation currently stands at £9,927.18m at the time of this report. The currency for this stock is GBX. Market cap is measured in GBP. 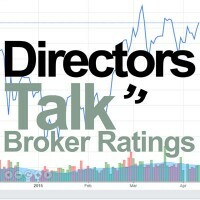 This article was written with the last trade for Hargreaves Lansdown PLC being recorded at Monday, August 6, 2018 at 1:18:28 PM GMT with the stock price trading at 2101 GBX. Shares of ImmuPharma PLC ticker lookup code: LON:IMM has risen 5.64% or 1.1 points during the course of today’s session so far. Market buyers have so far held a positive outlook throughout the session. The period high was 20.65 while the low for the session was 19.64. The total volume of shares traded by this point was 142,934 with the daily average traded share volume around 625,650. The 52 week high is 193.74 some 174.24 points difference from the previous days close and putting the 52 week low at 18 a difference of some 1.5 points. ImmuPharma PLC now has a 20 moving average of 21.28 and now a 50 day MA at 23.73. The market capitalisation currently stands at £29.16m at the time of this report. The currency for this stock is Great British pence.Market cap is measured in GBP. This article was written with the last trade for ImmuPharma PLC being recorded at Monday, August 6, 2018 at 1:17:11 PM GMT with the stock price trading at 20.6 GBX. Shares of INTERCONTINENTAL HOTELS GROUP Common Stock found using EPIC: LON:IHG has gained 1.17% or 55 points throughout today’s trading session so far. Buyers have remained positive during this period. The period high has peaked at 4785 dropping as low as 4706. The total volume of shares exchanged so far has reached 192,746 with the daily average traded share volume around 591,375. The 52 week high price for the shares is 5050 around 338 points difference from the previous days close and the 52 week low at 3656 a difference of some 1056 points. INTERCONTINENTAL HOTELS GROUP Common Stock now has a 20 SMA at 4831.39 and the 50 day moving average now of 4848.77. The market capitalisation is now £9,124.10m at the time of this report. The stock is traded in GBX. Mcap is measured in GBP. This article was written with the last trade for INTERCONTINENTAL HOTELS GROUP Common Stock being recorded at Monday, August 6, 2018 at 1:19:45 PM GMT with the stock price trading at 4767 GBX. 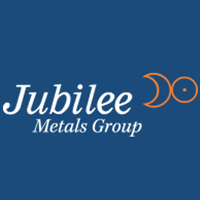 Shares of Jubilee Metals Group PLC found using EPIC: LON:JLP has stepped up 8.4% or 0.21 points during today’s session so far. Buyers have stayed positive during the session. Range high for the period so far is 2.74 meanwhile the session low reached 2.44. The number of shares traded by this point in time totalled 2,752,736 whilst the average number of shares exchanged is 1,447,597. A 52 week high for the stock is 5 which comes in at 2.5 points in difference on the previous days close and a 52 week low being 0.04 making a difference of 2.46 points. Jubilee Metals Group PLC now has a 20 simple moving average of 2.35 and the 50 day SMA of 2.5. The market cap now stands at £29.95m at the time of this report. Share price is traded in GBX. Mcap is measured in GBP. This article was written with the last trade for Jubilee Metals Group PLC being recorded at Monday, August 6, 2018 at 12:44:16 PM GMT with the stock price trading at 2.71 GBX. Click HL IHG IMM JLP for the full archive.